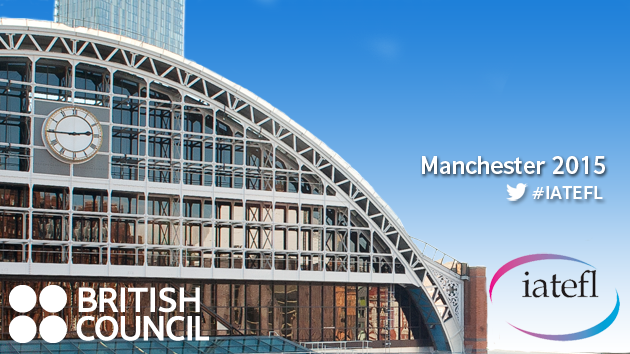 On April 11th, I will be very happy to participate in a panel, at the IATEFL Conference 2015 in Manchester! The panel will be chaired by a superb educator and scholar, Achilleas Kostoulas and we will be discussing the topic of Young Learners. Meet the panel of speakers and hope to see you there! Read more about our discussion here. Posted on March 19, 2015 April 3, 2015 by Vicky LorasPosted in Conferences, IATEFL, IATEFL 2015, young learnersTagged Conferences, IATEFL, panel discussion, young learners. Next Next post: ECP (English for Culinary Purposes)!